The Sun: The Star of the Solar System! Name: Our Sun’s name is a bit of a mystery! Some think it came from the Old English word Sunne, but no-one knows how that word came to be used. Others believe the word is derived from the Latin word for Sun, which is Sol. Temperature: 10,000 degrees Fahrenheit; 5537.78 degrees Celsius. And that’s just scratching the surface! The core burns at almost 30 million degrees Fahrenheit; 16666648.89 degrees Celsius! 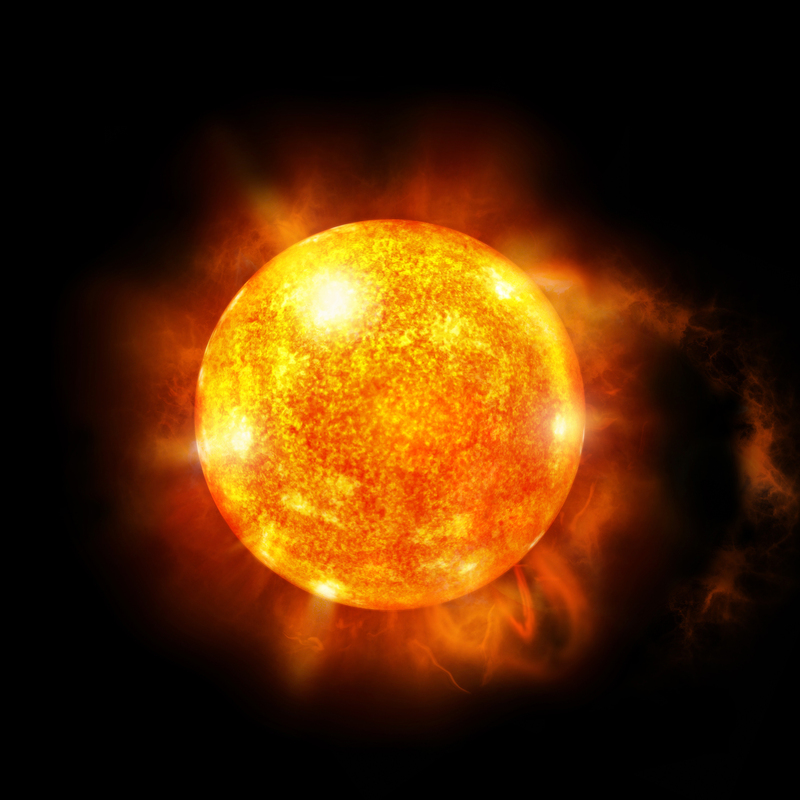 Fun Sun Facts: The Sun is made up of gases, mainly hydrogen, helium and oxygen. It is also made up of small amounts of neon, iron, silicon, magnesium and sulfur. Our Sun is the only star in our solar system. That makes its unique, because most solar systems have at least two stars. And like the star she is, all the planets revolve around her blazing presence! Next post: Fun facts about the planet Mars.